It is essential to understand the history of mining to the modern life we enjoy today. Earth Systems occasionally receive inquiries about mining activities (the extraction of natural resources from the earth). These calls are frequently about environmental impacts of mining, residual ecological effects of abandoned mines, or geotechnical/geological aspects of mining. The current controversies regarding the General Mining Act of 1872, which is still the controlling law concerning mining activities, bring into focus the conflicts between mining and our rapidly increasing population. For the most part, it seems the majority of the news we hear about mining is negative. However, it is important to remember how important mining is to our civilization and standard of living. 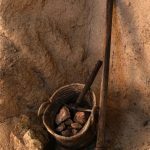 It’s interesting to reflect on how we reached our current perception of mining because, during most of our history, mining has had priority over most other activities. The first mining efforts involved searching for the stones most appropriate for making tools. Primary stone tools are approximately 2.6 million years old, predating even Homo Sapiens. Hence, this time tracks the use of rocks as throwing weapons around 1.9 million years ago, following soon after by digging for the best cutting stones and stone tools. As Homos Sapiens developed and the population grew, communities began to replace the nomadic lifestyle. Early tribes located around primary resources of food, water, and shelter were readily available. Soon after, the location of other natural resources began to have an impact on human settlement. Mined materials were probably among the first materials traded. Some tribes may have had regular access to chert or obsidian, highly valued for their sharp edges. Others may have had access to the best clay for making pots, bowls, or other utensils. Early trading required that humans develop more enhanced communication skills and could be considered the basis of civilization. 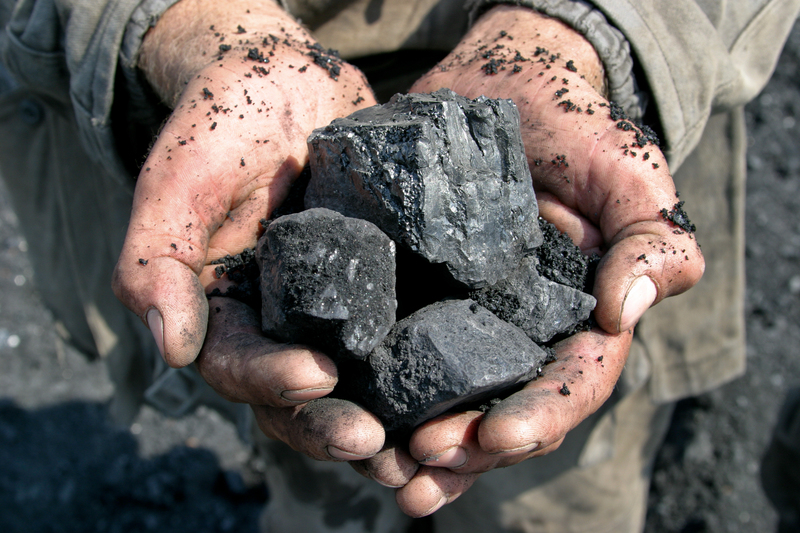 The earliest known mine for a specific mineral is coal from southern Africa, appearing worked 40,000 to 20,000 years ago. But, mining did not become a significant industry until more advanced civilizations developed 10,000 to 7,000 years ago. In early times, the only metals available were those found in a metallic state in nature. The most abundant was copper. But, gold, silver, and mercury were also found and prized. The application of fire to mined materials became a technological breakthrough and proved to be one of the critical advancements of civilization. In fact, excavated elements transformed themselves by the application of heat. As a result, pottery hardened to last more than a season. Especially relevant, metals could be melted and formed into objects. Advancement of pottery technology in conjunction with experimentation and observation of the results of firing on different materials led to the development of smelting (the extraction of metals from ore). The Egyptians and Sumerians smelted gold and silver from ore 6,000 years ago. As a result, these metals began to have a value that was transferable between people and between cultures. Asphalt was exported from the Dead Sea area to Egypt around 4,500 years ago. Was that the first oil trade? In Sumeria, metal coins begin to replace barley as legal tender. It is interesting to note; this is about the time of Hammurabi’s Code, the earliest Egyptian mummies, 2,000 before Christ, and the sprouting of the oldest bristlecone pine (still growing in the remote mountains of eastern California). With the development of the Mediterranean civilization, mining became one of the most critical industries in the world. Athens grew wealthy, due to the extractions from silver mines (Laurion Mines). Athens then fell when Sparta wrested away control of the silver mines. People mined through systems of shafts and galleries supported by stone columns as timber became scarce in the area. Additionally, it was the death penalty for extracting ore from one of the stone columns. The Romans expanded, in part, in pursuit of mines. The growth of civilization required more and more money to finance its operations. It needed metal to create military equipment. And, the requirement of infrastructure compelled the function of the government. During the rise of Europe, governments gave miners extensive rights to take land and profit from the minerals they found there. Nevertheless, the governments always required a portion of the revenue from mining as payments for granting the mining rights. As a result, the realization endured that countries could not develop without the exploitation of natural resources. Civilization progressed requiring an increasing amount of mined material to manufacture the necessities of everyday life and fund the economies of nations. The influx of this mineral wealth from the New World financed the Renaissance. Eventually, the creation and expansion of countries in the New World, along with the development of the Industrial Age, resulted in the generation of the mining industry we have today. The General Mining Act of 1872 intended to and succeeded at, establishing and maintaining our present level of civilization. In fact, if humans had not put the structure in place to provide the incentive to prospectors and miners, our lives would probably be entirely different. It was our industrial might (based on mined resources) that helped win several wars. It built the railroads and highways, bridges and cities. Mined resources will take us to the future. The growth of electronics has only increased the need for copper, the first metal used by humans. The construction of green energy resources (wind, solar, geothermal) requires extensive mined resources to provide lightweight aluminum and the special alloys necessary for new applications. Ultimately, changes in the Mining Act of 1872 are necessary to make mining more compatible with our expanding population. But, we should not forget or underestimate the importance and lessons in the history of mining to the modern life we relish. Note: Earth Systems originally published this article in a newsletter in 2006 and re-edited for the web.